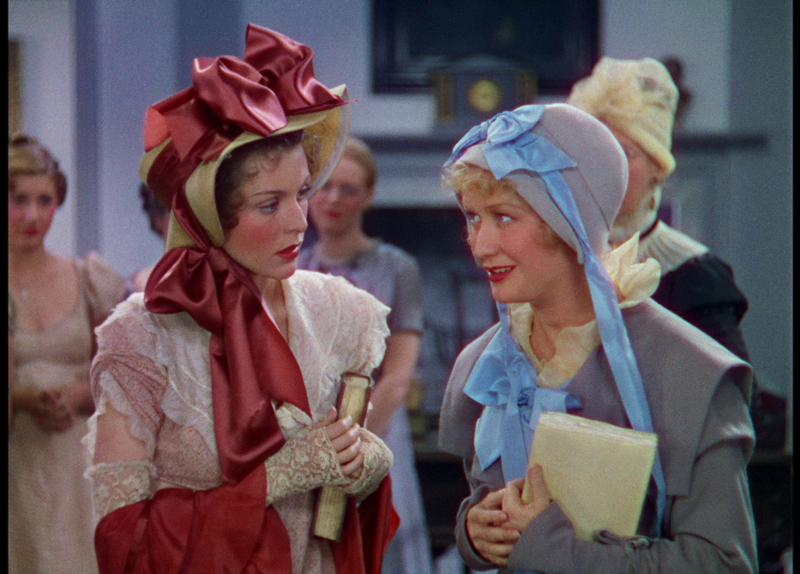 In the years just preceding Waterloo, best friends Becky Sharp (Miriam Hopkins, Trouble in Paradise) and Amelia Sedley (Frances Dee, I Walked with a Zombie) graduate from Miss Pinkerton’s Academy for Girls. 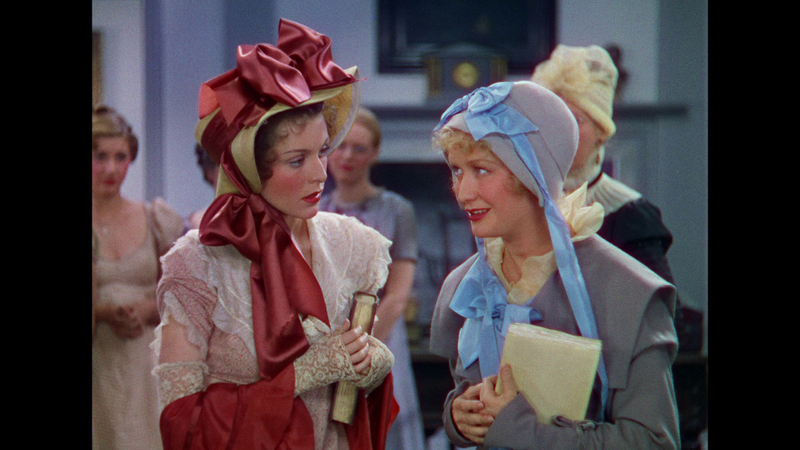 The wealthy Amelia invites the penniless Becky into the bosom of her family home while the manipulative Becky plots her climb up the social ladder. 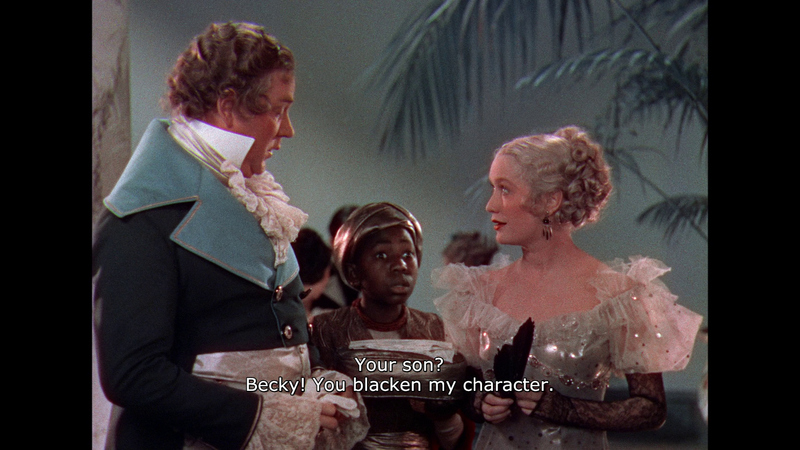 Entirely lacking in scruples and unhampered by conscience or morality, Becky ascends to the very pinnacle of society, crushing anyone who stands in her path. 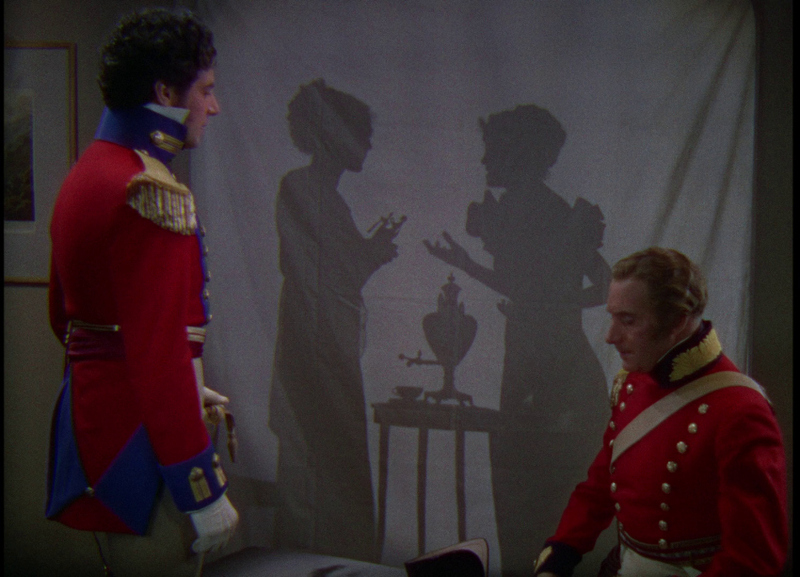 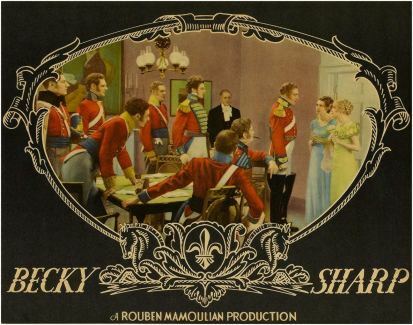 Set against the backdrop of the Napoleonic Wars, Rouben Mamoulian’s (Love Me Tonight, The Mark of Zorro) adaptation of Thackeray’s (The Memoirs of Barry Lyndon, Esq.) 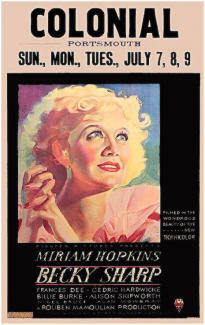 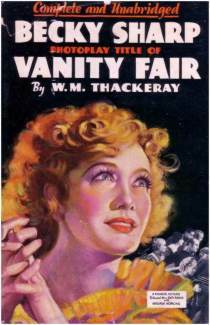 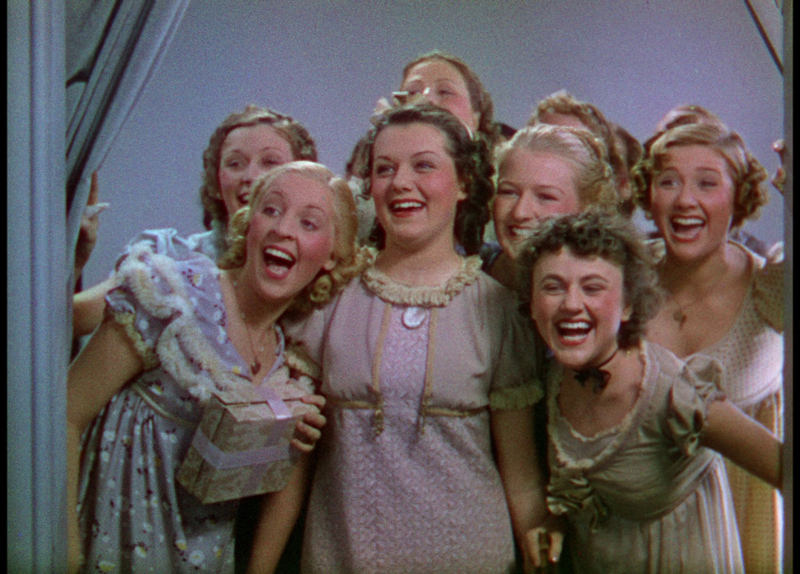 epic novel Vanity Fair was the first film to be produced in three-strip Technicolor. 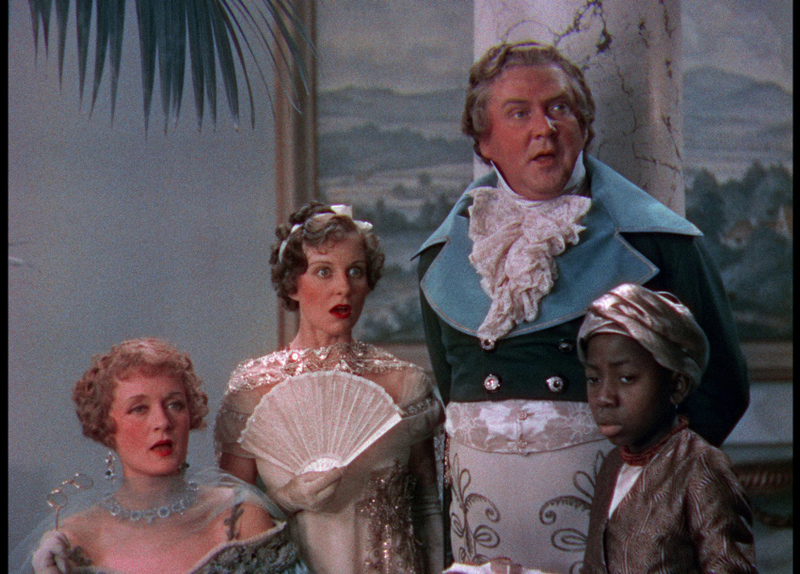 Screenplay by Francis Edward Faragoh (Little Caesar, Frankenstein) and co-starring Cedric Hardwicke (The Lodger), Billie Burke (The Young in Heart), Nigel Bruce (Suspicion) and Alan Mowbray (I Wake Up Screaming). 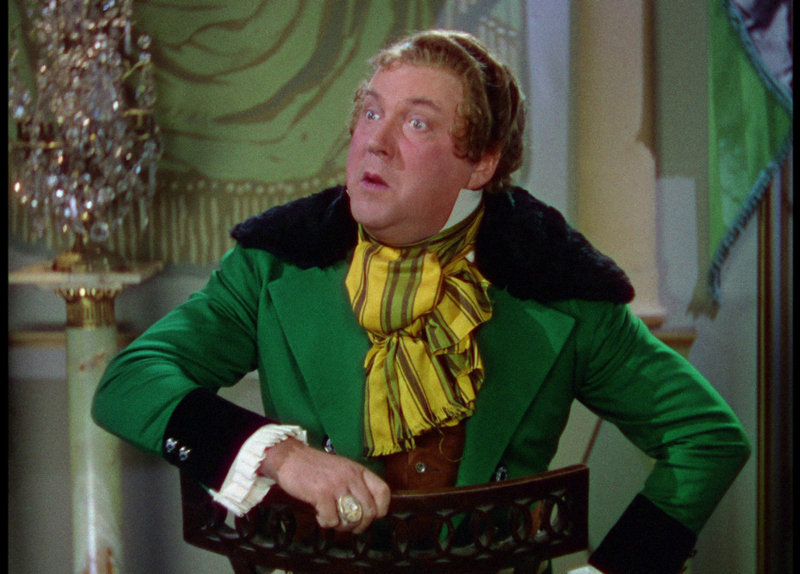 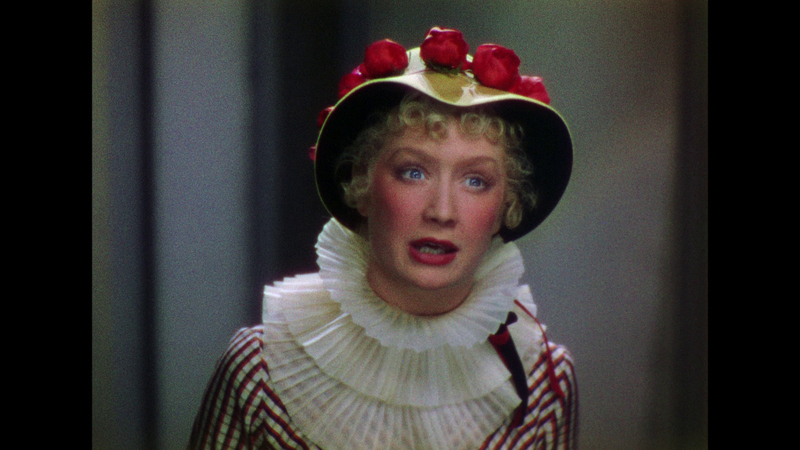 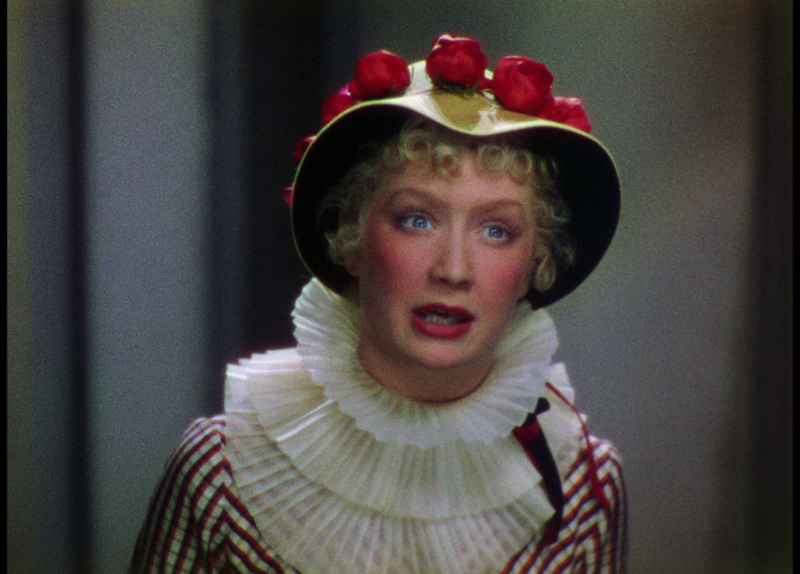 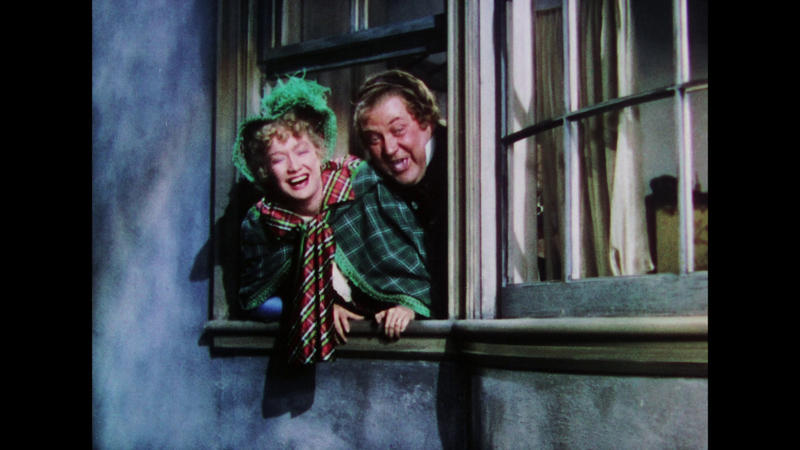 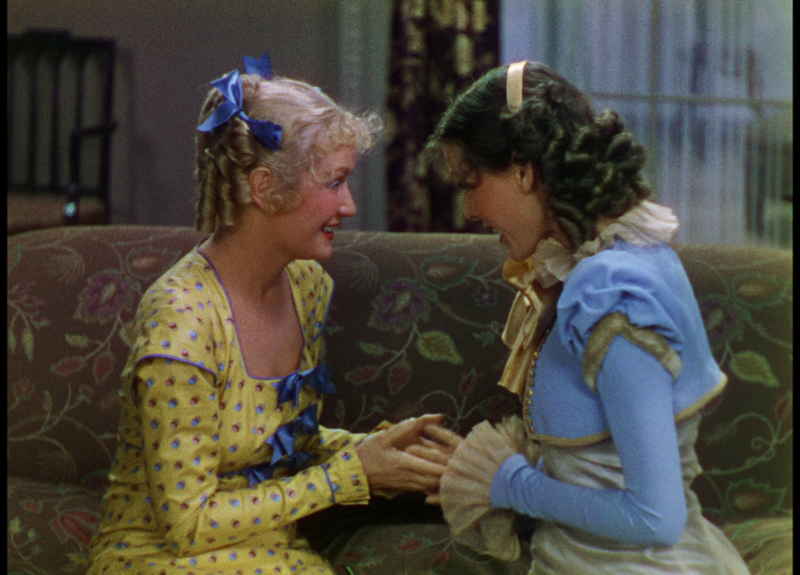 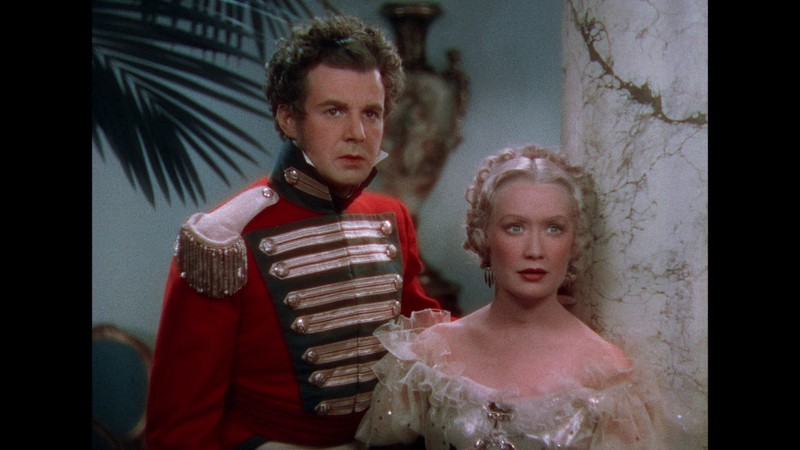 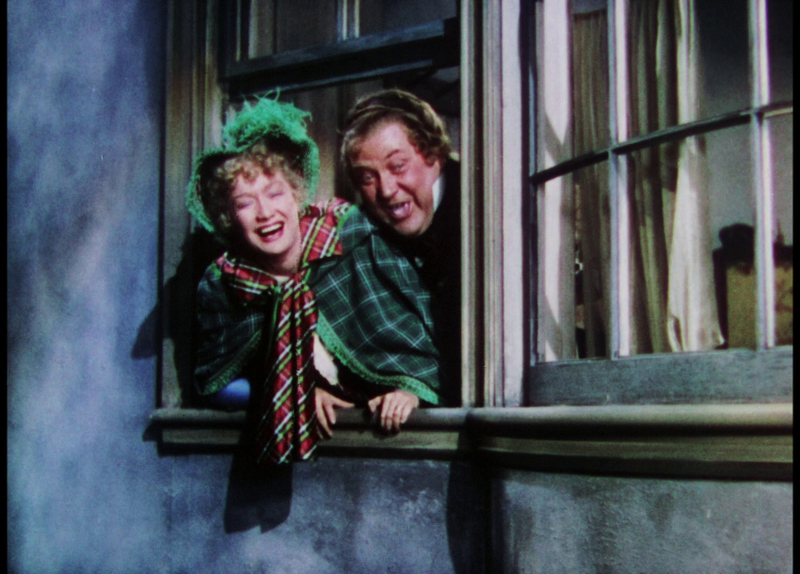 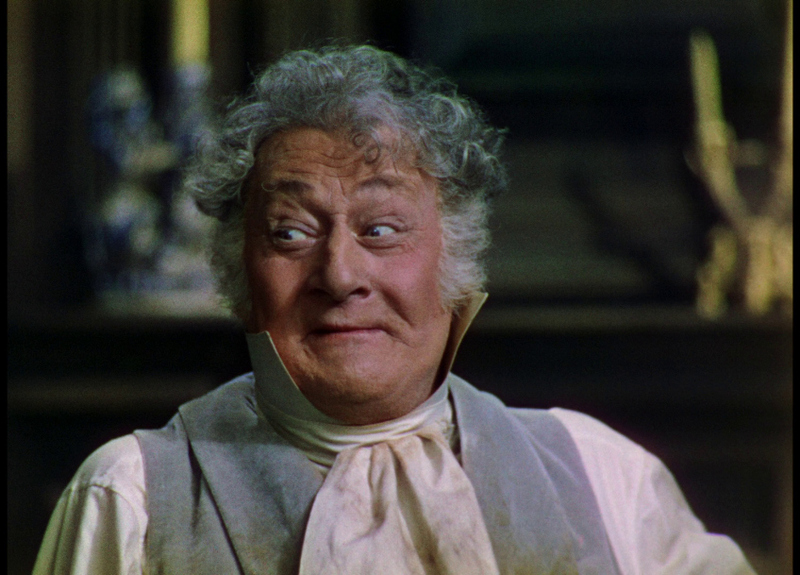 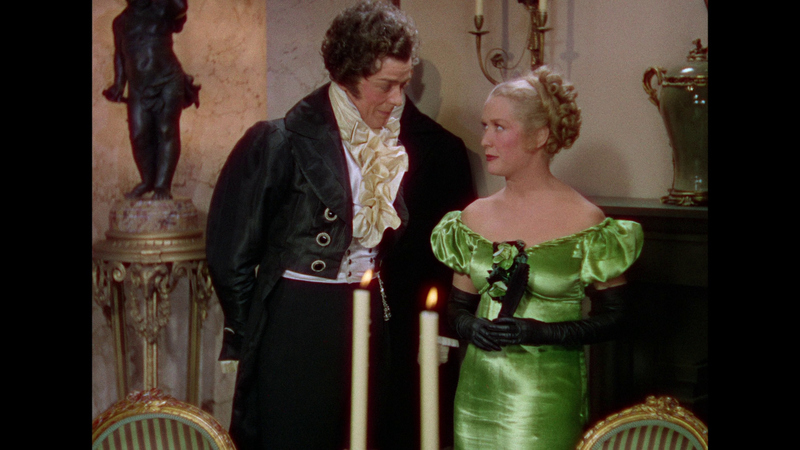 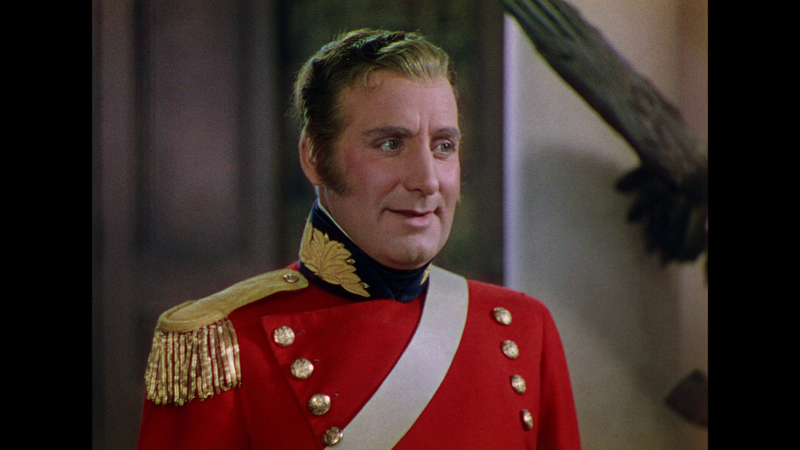 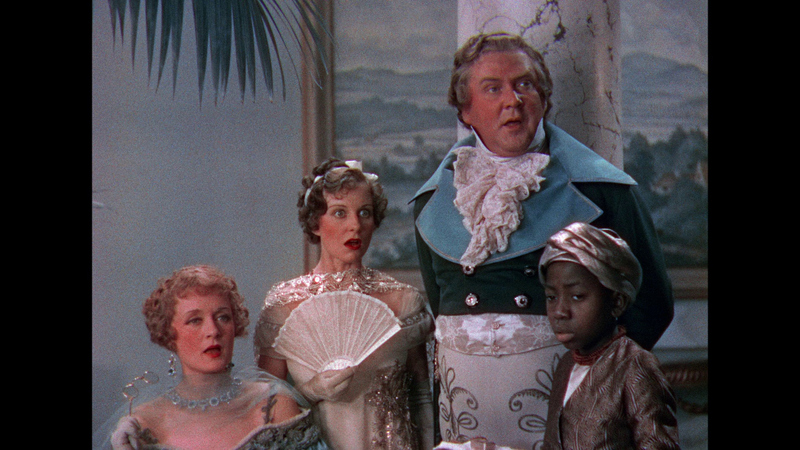 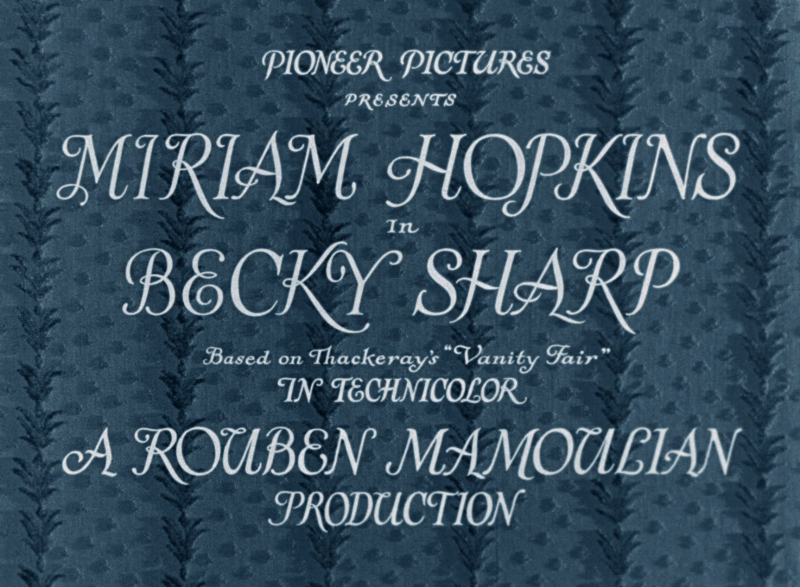 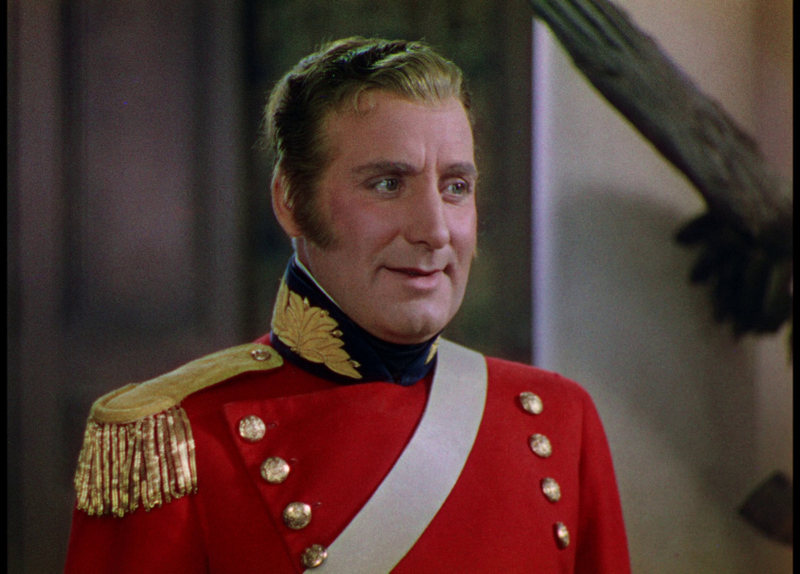 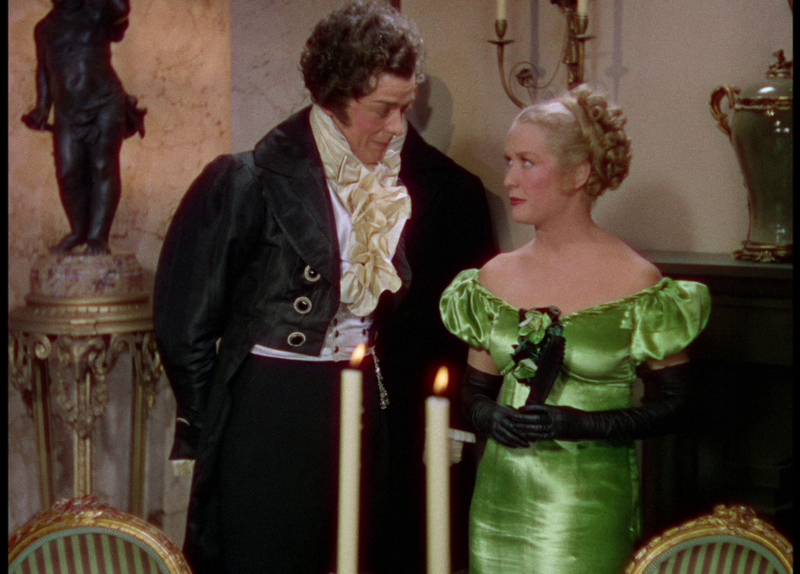 Now famous as the first feature film produced in the three-strip Technicolor process, Becky Sharp is also an enjoyable effort in its own right. 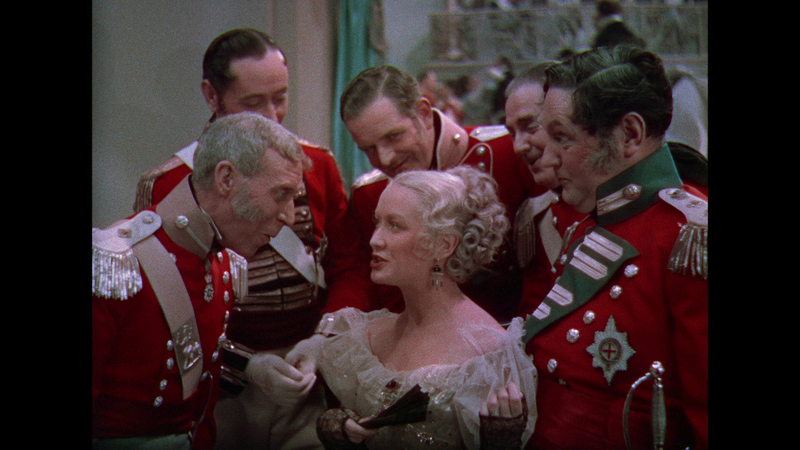 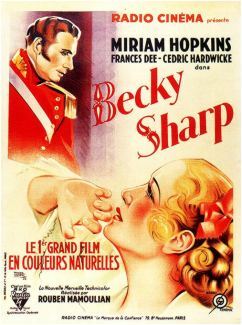 Adapted from William Makepeace Thackeray's Vanity Fair, the film stars Miriam Hopkins as Becky Sharp, a resourceful, totally self-involved young lady who manages to survive any number of setbacks and deprivations in the years following Napoleon's defeat at Waterloo. 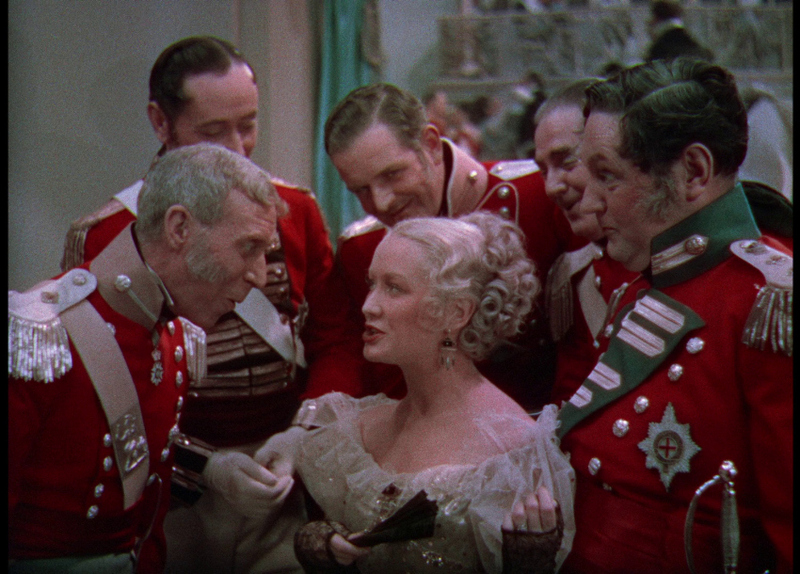 In her efforts to advance herself, she manages to link up with a number of not altogether attractive gentlemen, including the Marquis of Steyne (Cedric Hardwicke), Joseph Sedley (Nigel Bruce), Rawdon Crawley (Alan Mowbray), and George Osborne (G. P. Huntley Jr.) She rises to the pinnacle of British society, only to tumble and fall into the humiliation of singing for her supper in a cheap back-alley beer hall, but, like her spiritual sister Scarlet O'Hara, Becky never stays down for long. 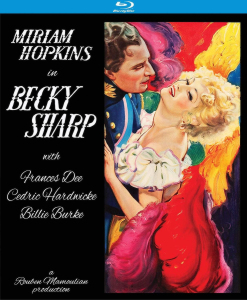 Kino Lorber bring the 1935 historical drama Becky Sharp to Blu-ray. 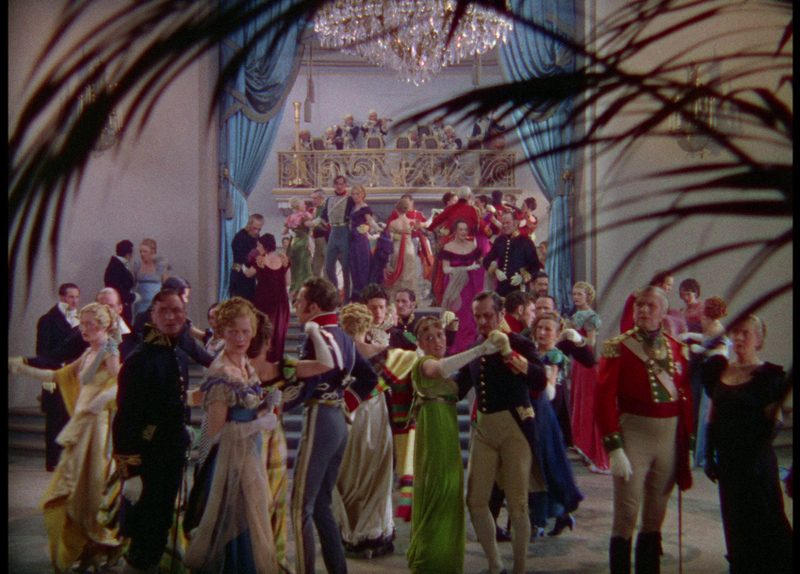 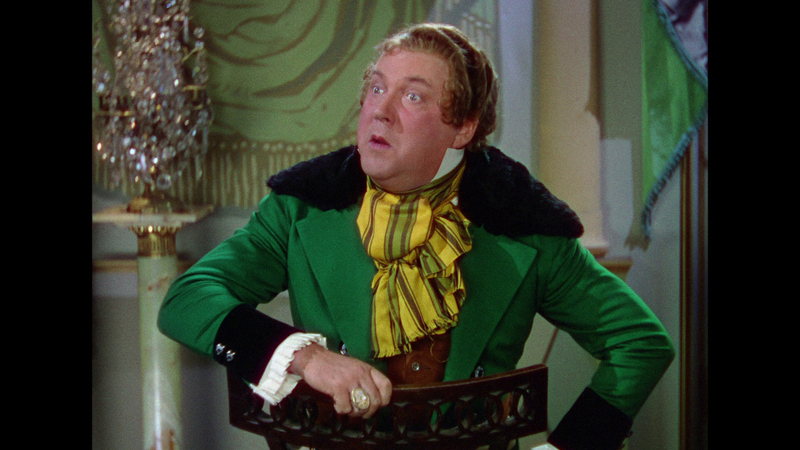 It is notable as being the first feature film in full three-color Technicolor. 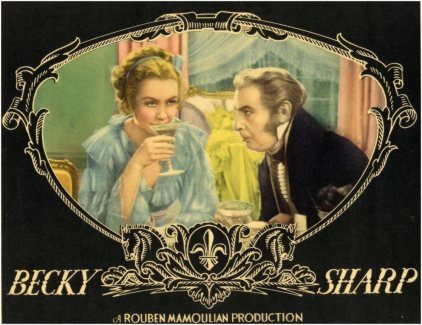 The 1080P transfer is advertised as a "Brand New 4K Restoration from the 35mm Nitrate Negative & Positive Separations" and there has been extensive restoration over the years: "The UCLA Film & Television Archive completed its initial restoration of BECKY SHARP in 1984. 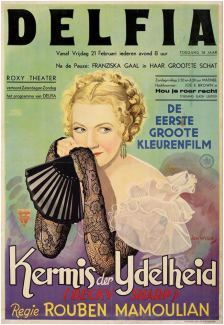 Since then, further improvements have been made, including a 2007 sound upgrade with funding provided by The Film Foundation and laboratory services provided by Audio Mechanics and DJ Audio. 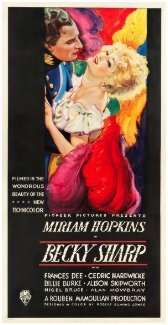 In 2017 the Paramount Archives, using the best of almost 50 reels of 35mm film including the original surviving Technicolor 3-strip negatives, 3-strip positives, and prints, preserved this title in 4K at Technicolor Creative Services. 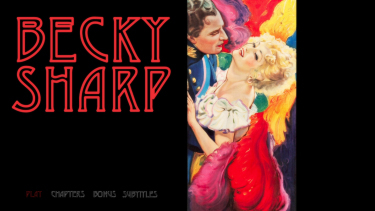 Advanced digital tools were used to align the separation elements and clean the image. 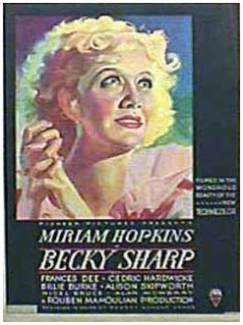 Sound preservation work was done at Deluxe Audio. 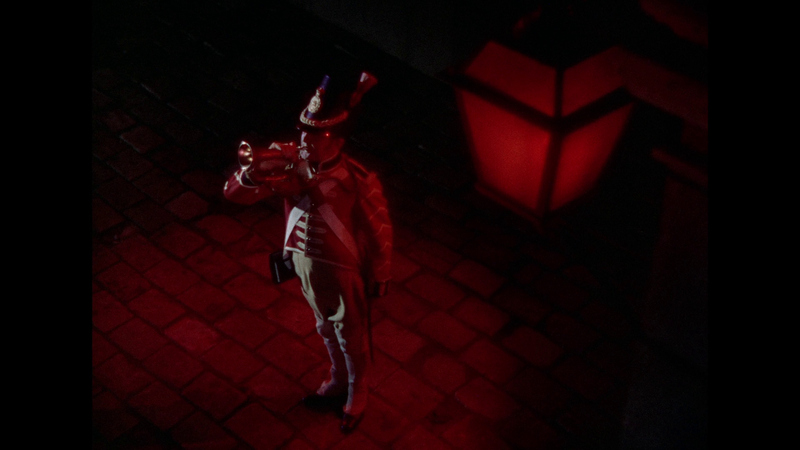 Special thanks to Robert Gitt, Richard Dayton and Eric Aijala. " 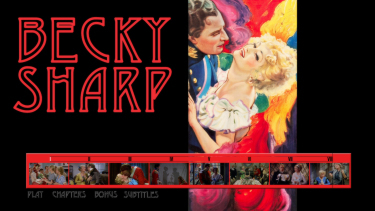 It's on a single-layered Blu-ray with a high bitrate. 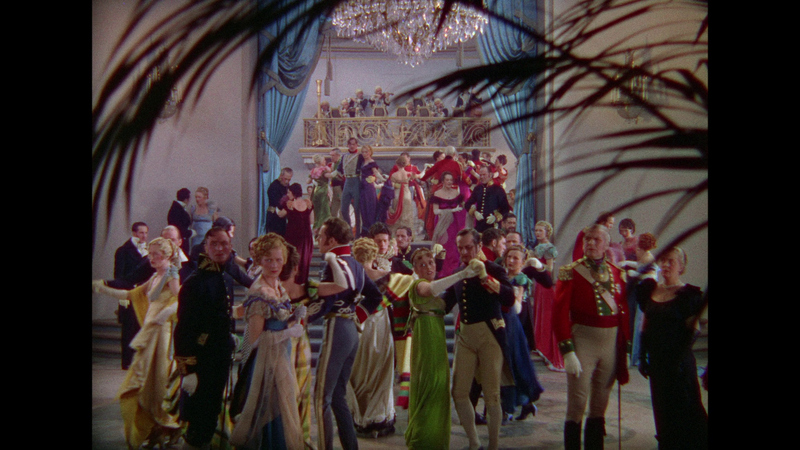 It looks impressive - especially the colors with primary reds, greens and maroons benefitting greatly from the restoration and original process. 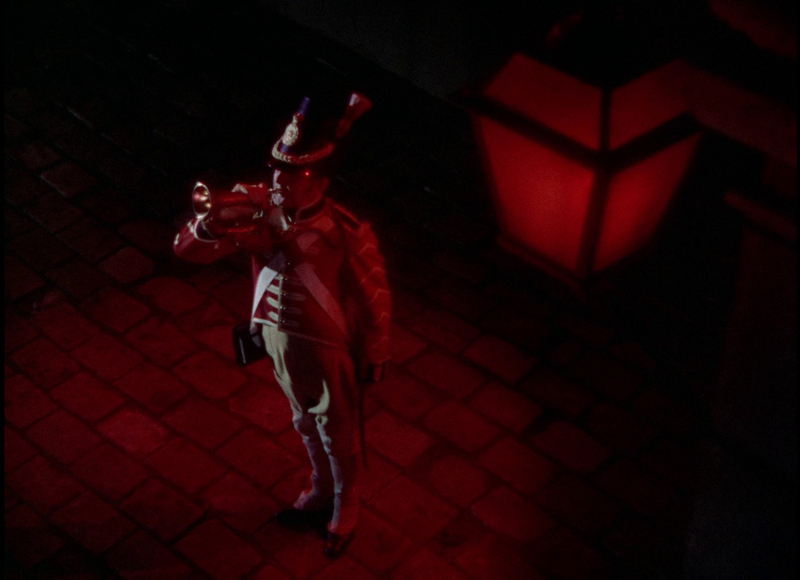 Flesh tones can have some funky hues but the visual detail is very pleasing fro a film of this era. 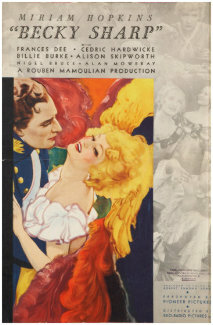 Although at 1 1/4 hour the quality notably dips - at the mercy of the elements. 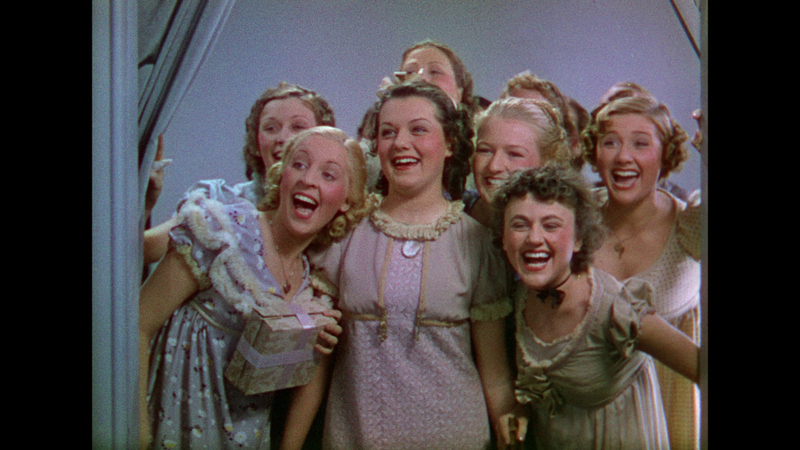 We have included a couple of captures that show the disparity at the bottom. 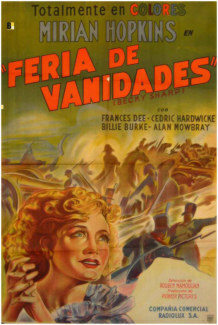 The film is transferred in a 2.0 channel 16-bit DTS-HD Master mono track in the original English-language. 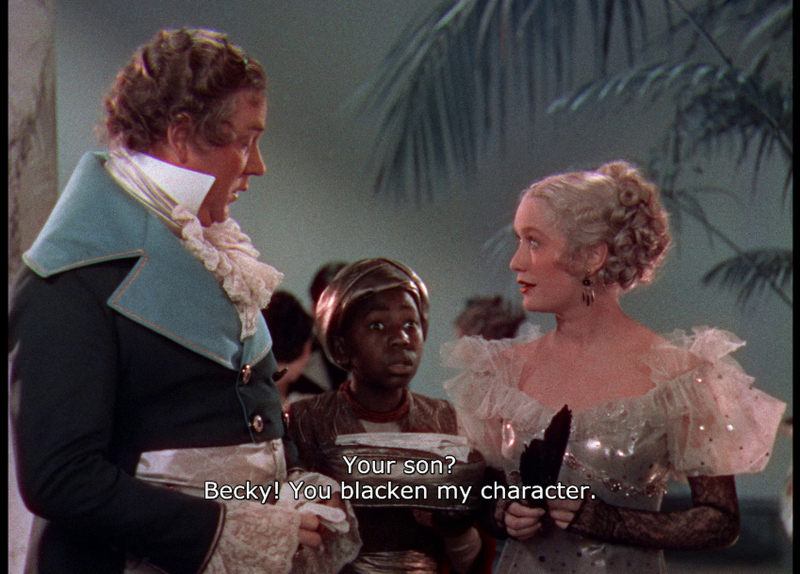 It has the expected limitations of the production era but is fairly consistent with audible dialogue. 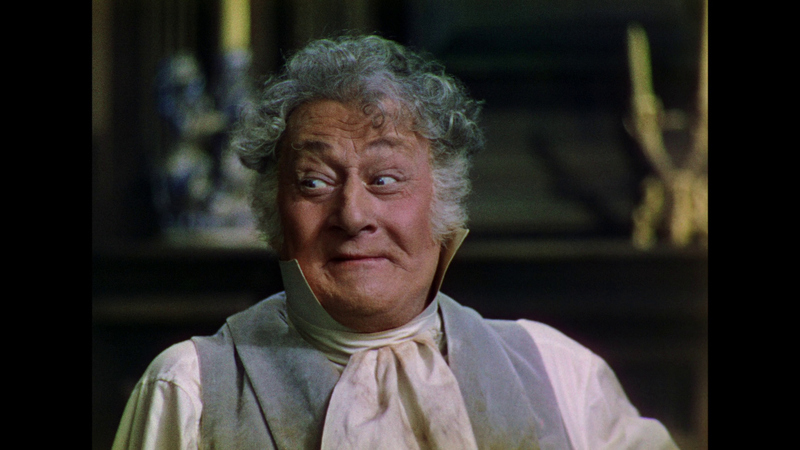 The film features a score by Roy Webb (A Bill of Divorcement, Notorious, The Spiral Staircase, The Curse of the Cat People, I Married a Witch, The Fallen Sparrow, The Window, Journey Into Fear, I Walked with a Zombie etc.) 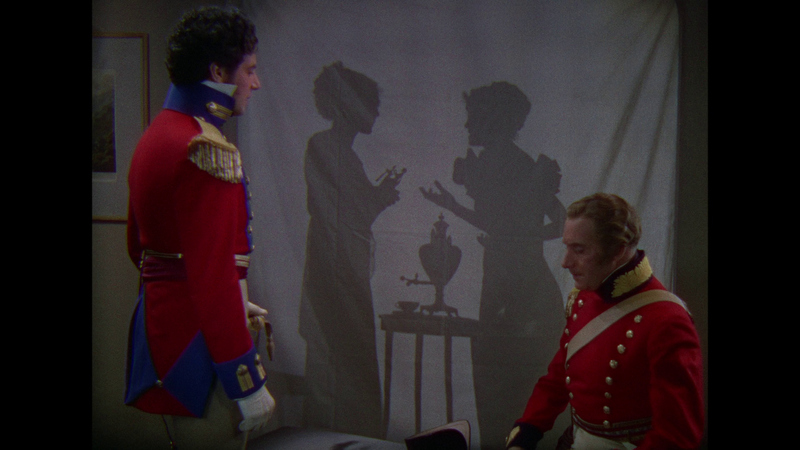 which adds to the historical aspects creating drama and building a romantic tone. 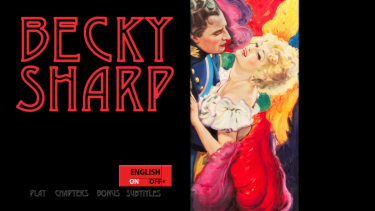 There are optional English subtitles (see sample) on this Region 'A' Blu-ray. 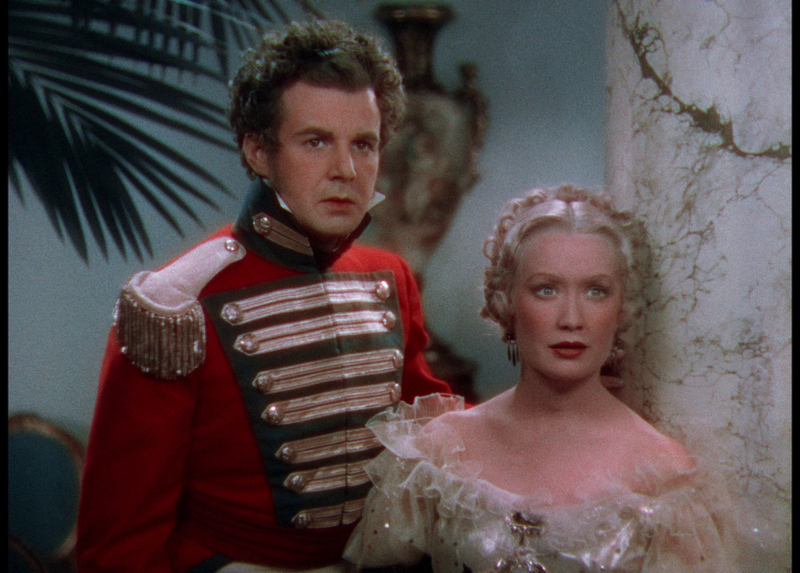 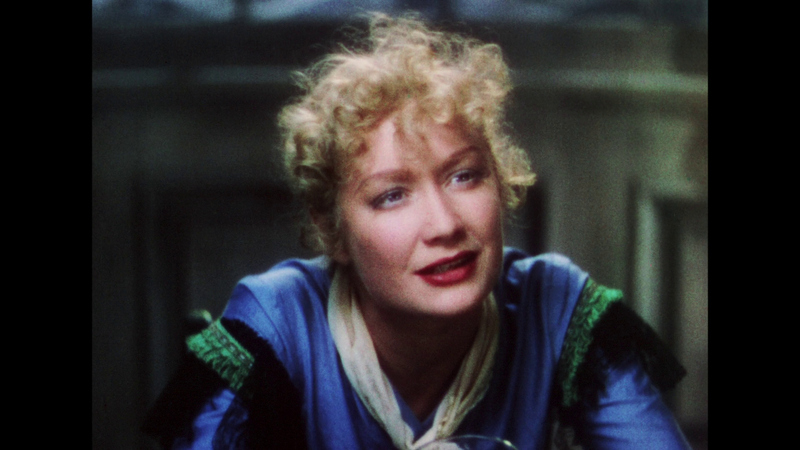 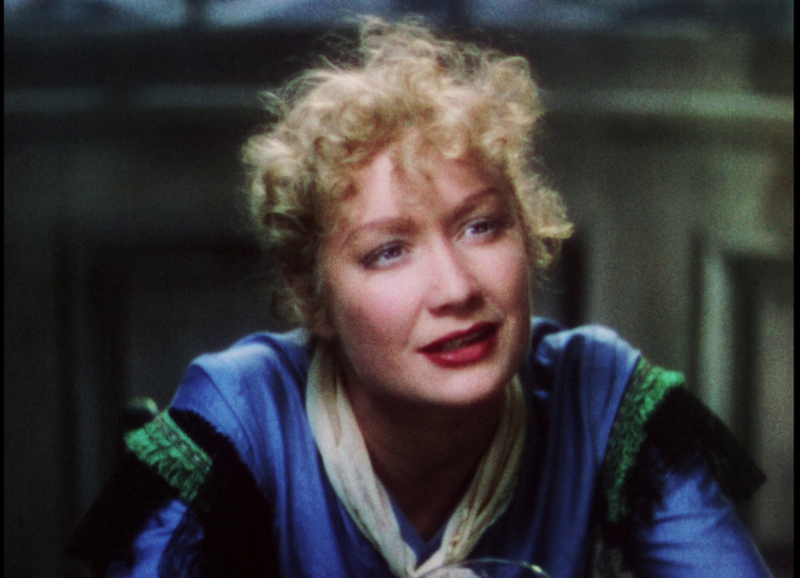 There are many fascinating facets to Becky Sharp and the restoration is but one - the film has value for the delightfully rich and humorous dialogue and the scope of the film's social climbing journey. 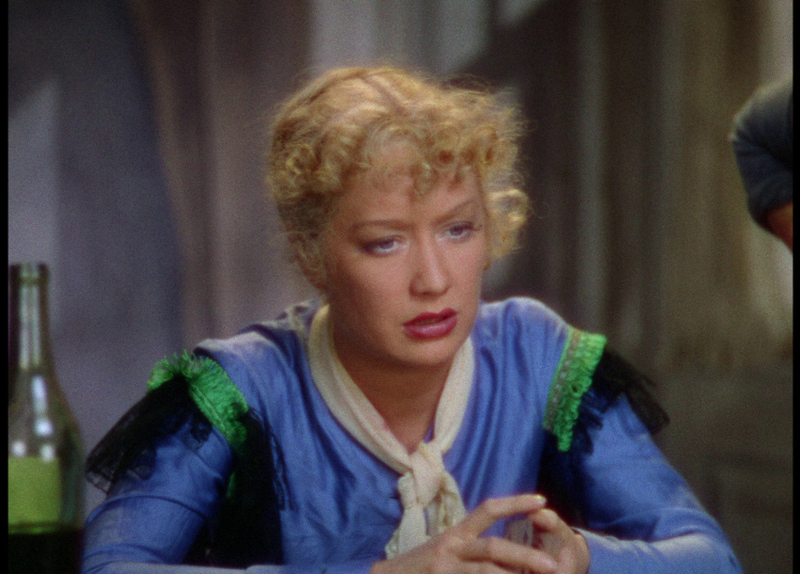 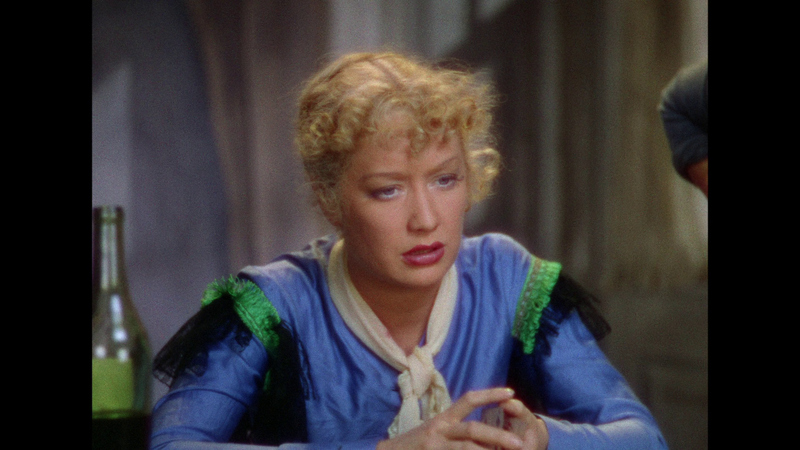 Miriam Hopkins is magnificent. 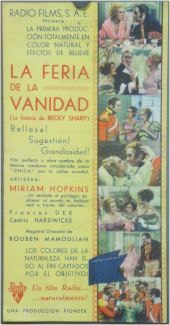 Some claim it does not do the William Makepeace Thackeray novel justice but as a historical artifact - it should interest many cinephiles. 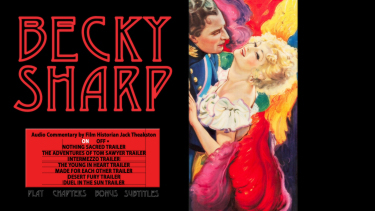 The 4K-restored Blu-ray transfer via the work started on reconditioning the elements should be highly commended and the commentary gives this package further value. 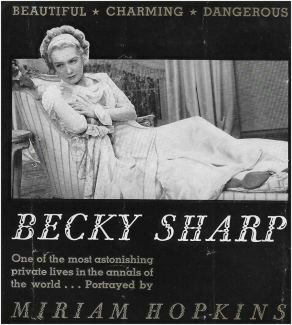 Recommended!